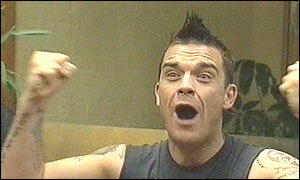 Robbie Williams has turned down the chance to invest in debt-ridden Port Vale Football Club. The pop star had been asked by the club's administrators to help Vale with its financial problems. Williams, who was born in Stoke-on-Trent, is a lifelong fan of the Second Division side and has recently signed a record deal said to be worth �80m. Vale went into administration in December with debts of more than �2m, and the club is estimated to be losing �500,000 a year. Williams' management company IE Music confirmed the star "will not be one of the investors in Port Vale". Four bids have been put in for the Valiants, but there is still no immediate prospect of a deal being done.